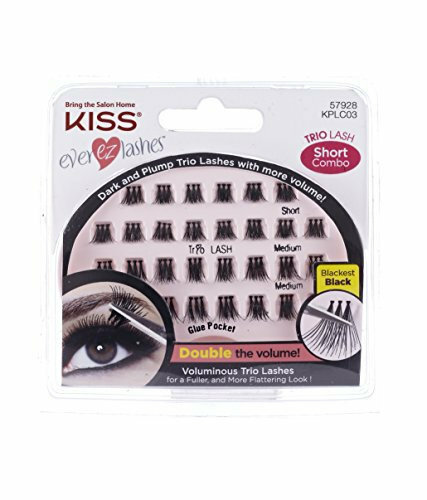 KISS EVER-EZ Lashes Lash Trio - BLACKEST BLACK (Short Combo) gives the lashonista a great way to get the look of individual lashes in less than half of the time. Trio Lashes give you the best of both individual and strip lashes. Customized your look with individual lashes, an easy and fast process of applying lashes that lets you choose the amount of volume. With both short and x-short lengths, voluminous Trio Lashes create a fuller, more flattering look. Just add them where you need them, according to look you want to achieve. 2. Dip knotted end of trio lash from tray. 3. From the outer corner, place trio lash on lash line. Hold, allowing adhesive to dry. Gradually work toward the other corner until lashes blend.y. 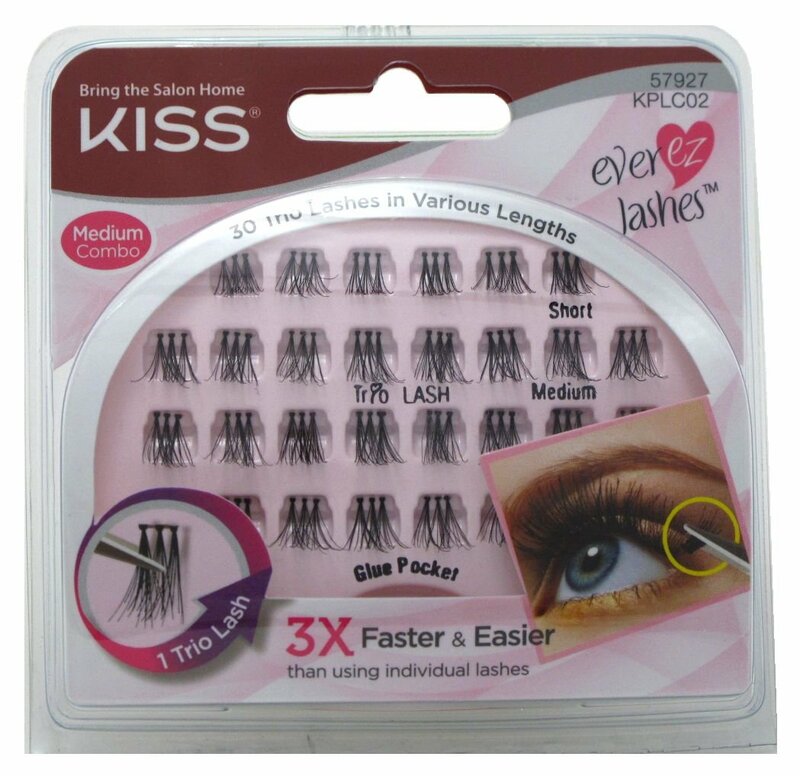 I bought these cause these seemed much easier to apply than those knotted ones...well they are..I love how one can customize your own lashes with these. more on the outside or in the middle, inner corner..I apply my mascara first, then apply where i see gaps of my mascara'd lashes to make it look fuller..I also apply my glue on my own lashes to know where exactly to apply these lashes..just a dab..